Dear reader we are on very old blog. We are posting articles on concrete construction and foundation engineering with their repair technologies. We have publish many post regarding concrete compaction, both hand compaction and mechanical compactions. Now in this post we will discuss additional requirements for vibrating lightweight concrete. We will provide a table that has links for all posts on concrete and concrete compaction. The recommendations that are valid for normal weight concrete compaction also valid in compacting lightweight concrete with some additional observations and precautions. 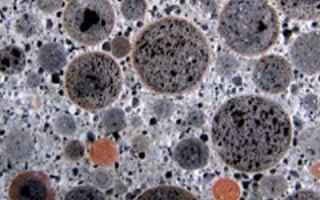 Now we have little idea about lightweight concrete. From the name we can understand, the concrete must be lighter than normal one. 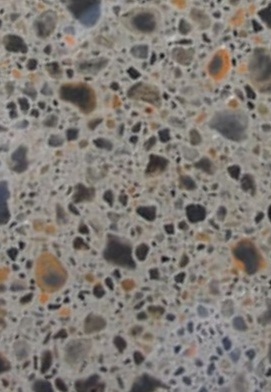 Generally, application of lightweight aggregate in concrete makes it lighter. a. Treating raw materials say slate, clay or shale. There heat treatment is used. Concrete weight can be reduced by many other ways. But if the resulting concrete has lighter weight, we can take it as lightweight concrete, in general. Dear reader lets come to the point compaction. We have published several posts on lightweight concrete and promised to post further topics regarding this. As aggregate weight is less, there have a tendency of this aggregate to come out to surface in fresh concrete. This tendency is maximized by the action of over-vibration to concrete mass. To avoid an undesirable segregation, a concrete of fairly stiff mix is designed to have minimum requirement of vibration in consolidating concrete mix in forms. We provided that stiff mix-not a too wet mix. In very wet concrete mix, having over-vibrated, the raised coarse aggregate to the surface, results difficulties in finishing. We have published several posts on over-vibration with images taken from different site. You can extract information from these posts.